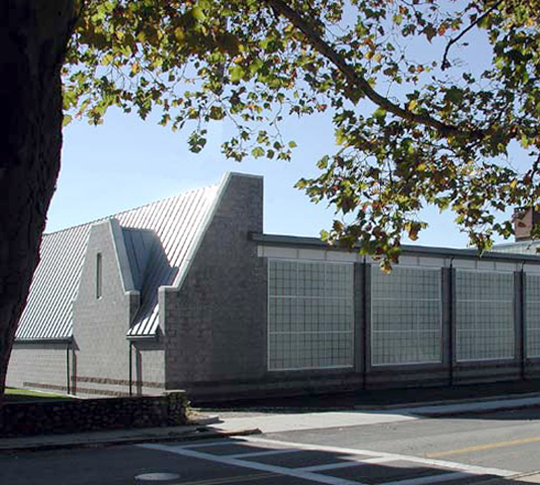 Located in a residential neighborhood adjacent to Wilcox Park and the central business district, the YMCA is an important part of life for many residents in the twin cities of Westerly, Rhode Island and Pawcatuck, Connecticut. To contain the new program areas, KITE created residential scale additions that complement the existing 1960’s moderne building. 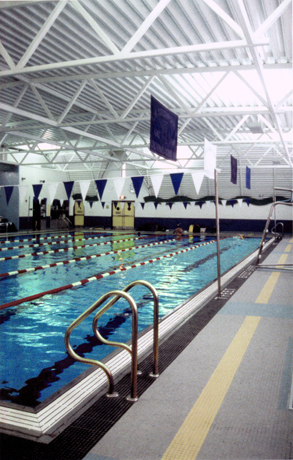 A natatorium with a six-lane, 25-yard swimming pool and an accessible locker room anchor the north end of the site, while a thirty child nursery school is on the south. 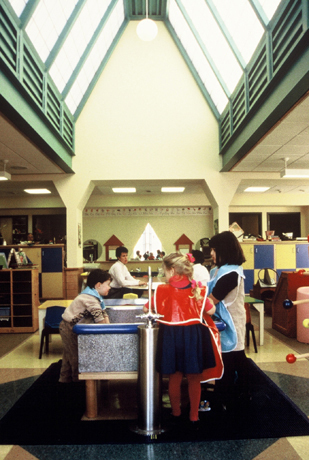 Color and scale have been used to create child-friendly environments within the overall complex, while translucent, energy-efficient acrylic panels provide natural illumination and enhance the quality of the spaces in the new construction.